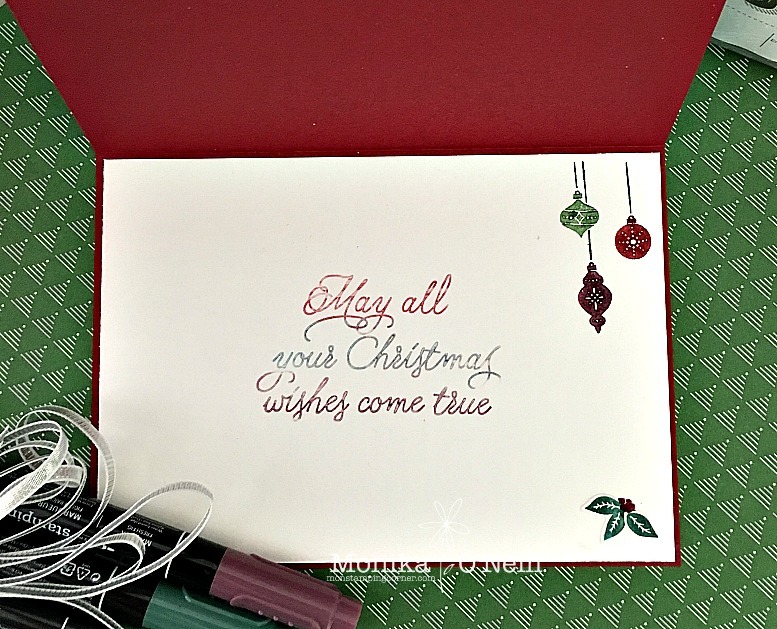 Hi everyone and welcome to week 7 of Christmas inspiration with Art with Heart Stampin'Up Team Australia. For todays card I used 2 stamp sets 'Peace this Christmas' for the inside sentiment and 'Carols of Christmas' (which has not been released yet, but it is awesome!!!) For the base of the card I used Cherry Cobbler, the front mat is Dazzling Diamonds Glitter Paper, the star cut out on the top is Pool Party card stock and I sponged it with Marina Mist & Midnight Navy. 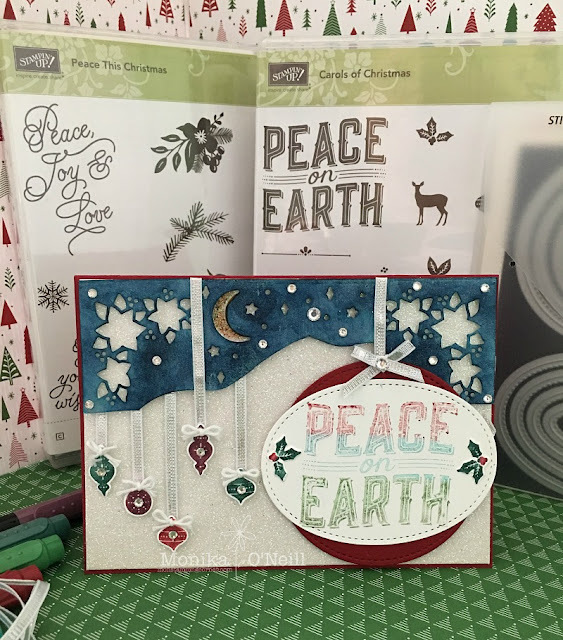 For the Peace on Earth stamp I used Stampin'Up! markers Cherry Cobbler, Tempting Turquoise & Garden Green I just coloured a clear block and added my stamp to that to get the different colour combination. 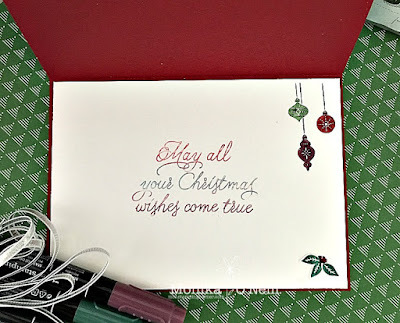 On the ChristImas baubles I also used Stampin'Up! markers. The baubles are hung on Silver Ribbon and I used glue dots for easiness, I used dimensionals under the star cut out and the little baubles and added little White Bakers Twine bow and the smallest Rhinestones in the centre. To finish of I used Wink of Stella everywhere I could, lol it just finishes a card off don't you think!. And the inside of the card, I used the same technique as the front of the card, I just added marker colours on a clear block and stamped. I hope you enjoyed todays card, I will see you here again next week, until then Happy Crafting!! !